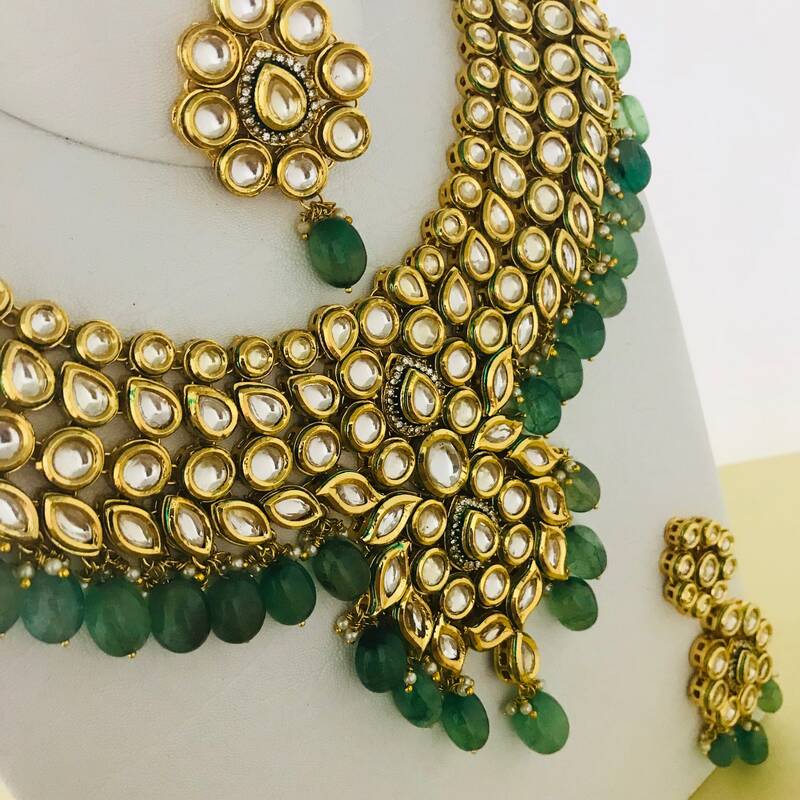 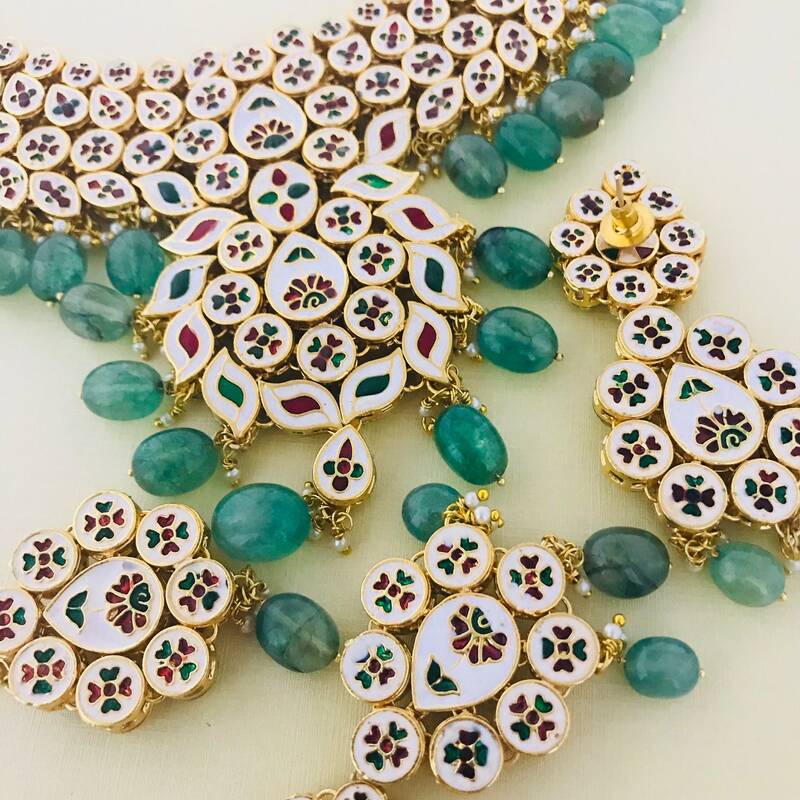 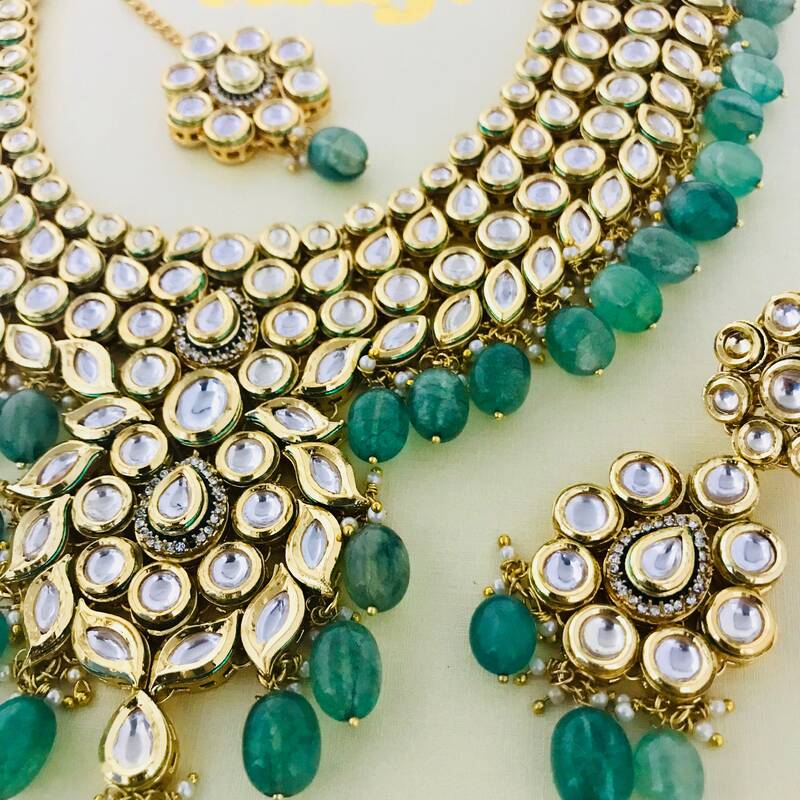 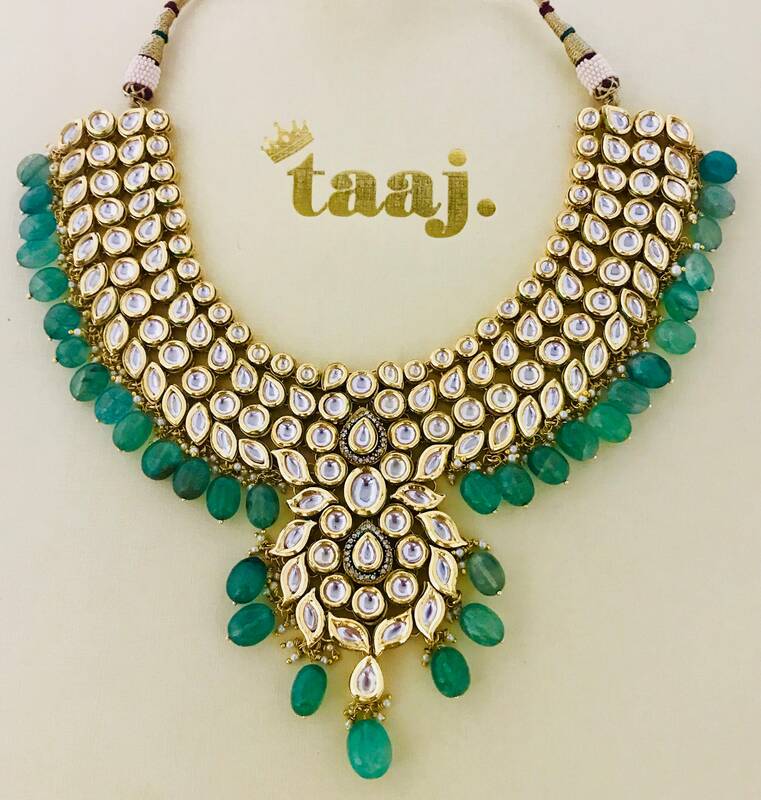 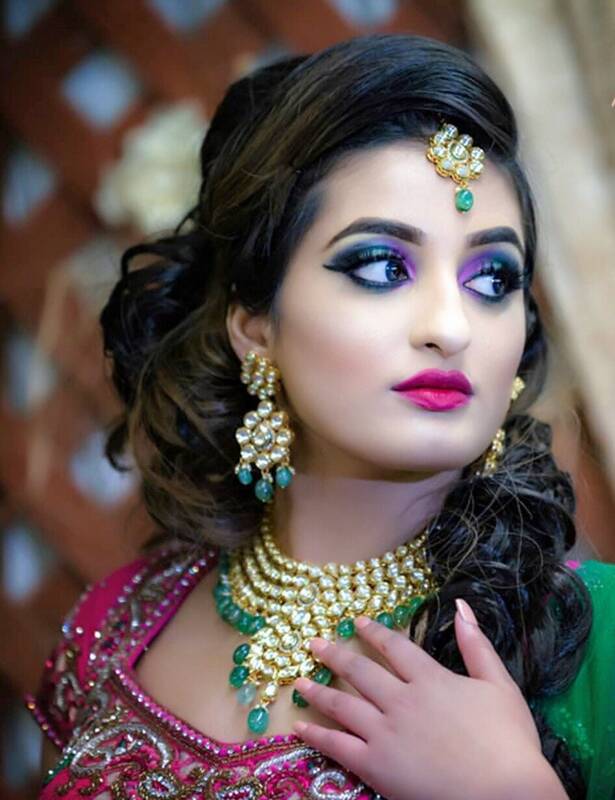 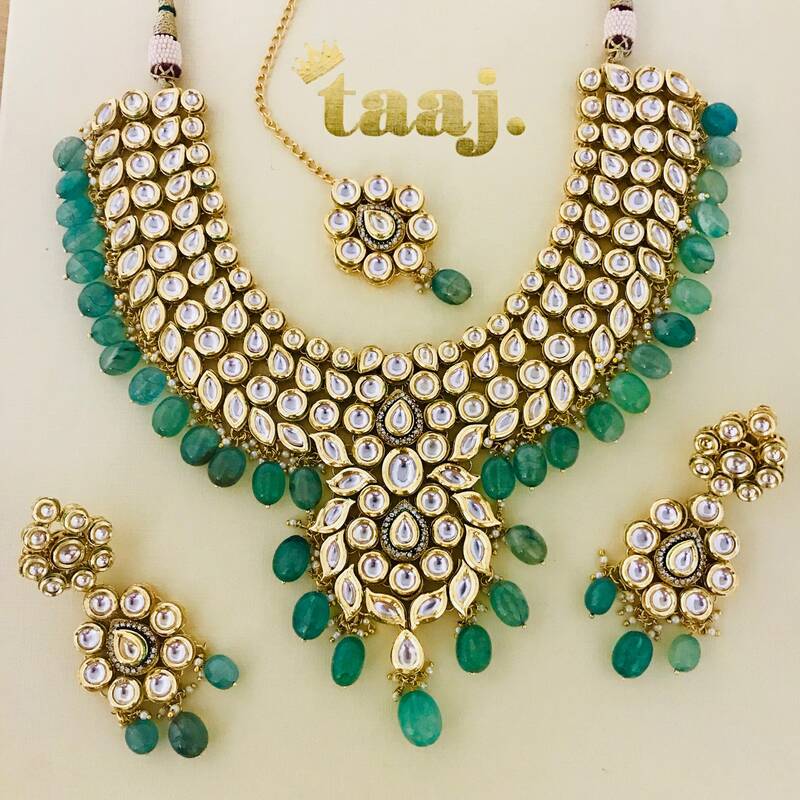 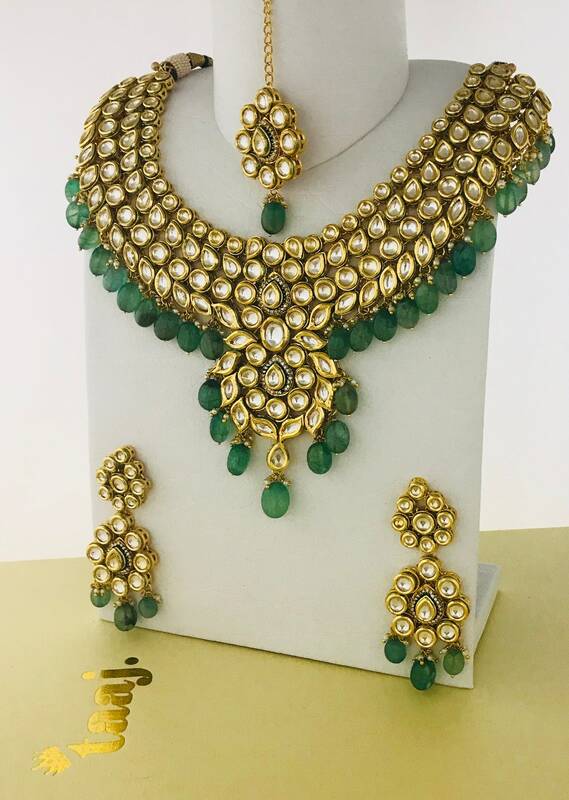 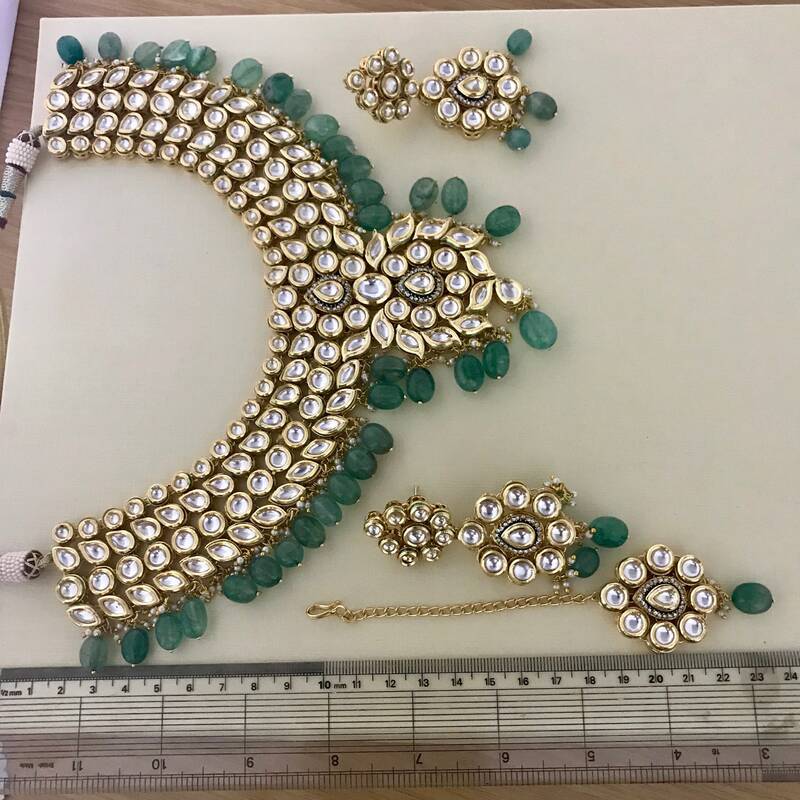 Gold plated Necklace Earrings and tikka set in white/clear cut and uncut kundan stones. 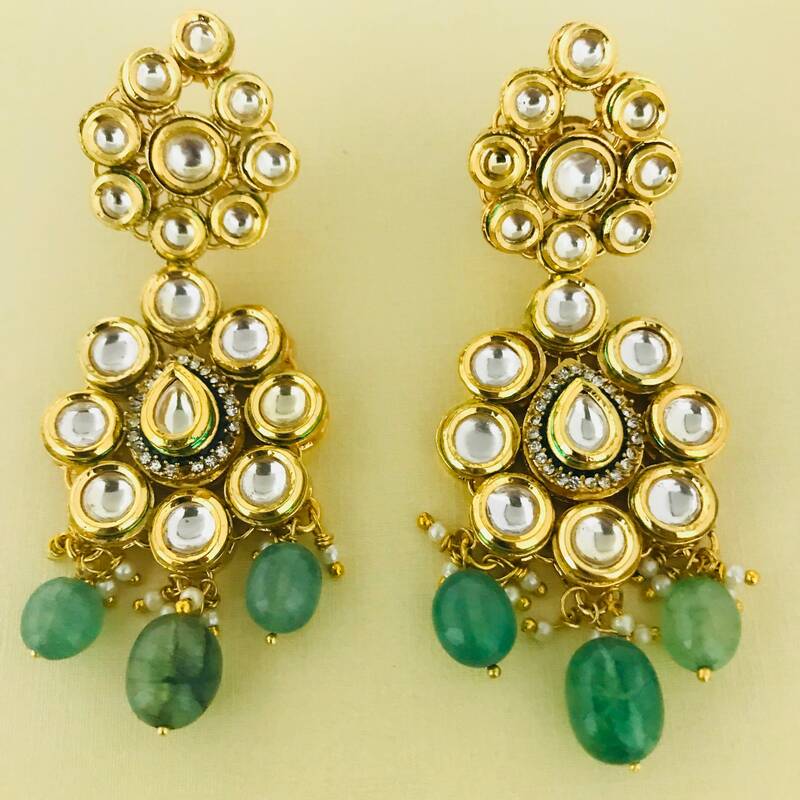 Reverse set in authentic handcrafted meena kari. 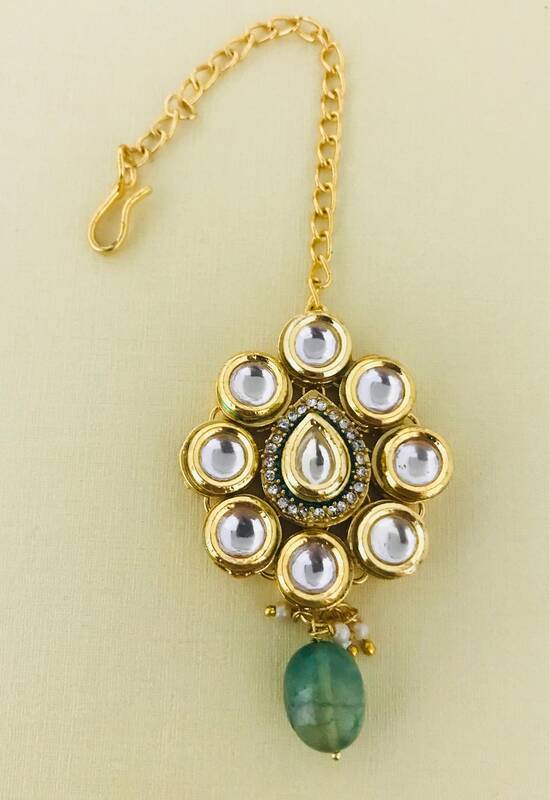 Finished with emerald colour Malachi droplet and tiny faux pearl drops.